The Farleighs boasts at least one splendid display of mistletoe – high up in a tree at the junction of Priory Close and Lower Road in East Farleigh. At that height it must be frustrating for villagers wishing to harvest a sprig for a Christmas kiss. The position of this particular plant indicates the sprigs weren’t ‘planted’ by man, as cultivated mistletoe is found, often in apple trees, at a pickable height. Mistletoe is a partial parasite, it can produce its own chlorophyll, but relies on a host plant to provide minerals necessary for growth. A pre-Christian symbol of fertility, it is presumably this reason it is still associated with Christmas. 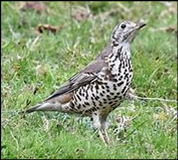 The Farleigh plant will almost certainly have been seeded in the crown of the tree by a mistle thrush – a more heavily spotted, greyer version of our familiar song thrush. If you are lucky enough to see both species in a local field you will instantly see the difference. It is the larger, more heavily spotted and more aggressive mistle thrush that eats the mistletoe berries – it will often ‘defend’ a tree with mistletoe, or indeed, a tree or bush heavily laden with berries of any kind, from other hungry birds. Mistle thrushes also gather in family groups in the autumn and winter; I’ve frequently seen a dozen or more foraging together in fields around the villages. The white mistletoe seeds are nutritious and the flesh of the berry is high in protein. 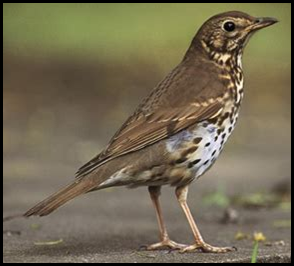 The flesh, though, is very sticky and viscous (hence the plant’s scientific name is Viscum album, and that of the mistle thrush Turdus viscivorus), so the bird continually wipes its bill on a nearby twig to get it off. As it does so, it may leave the seed in a crevice where it can germinate and so start another sprig growing. Another berry-eating bird that turns up in southern England in most winters is the waxwing – handsome Scandinavian birds that flock to cotoneaster and rowans in gardens and, particularly, supermarket car parks! As they breed in the far north they do not encounter humans often so have little fear, hence the likelihood of you seeing them on your trip to Tesco or Tunbridge Wells. Their name stems from the sealing wax-red tips of their flight feathers, and these contribute to their colourful appearance – almost like a seasonal pantomime character. Although we use the term ‘gannet’ to describe a person who scoffs food to excess, we might equally use the term ‘waxwing’. 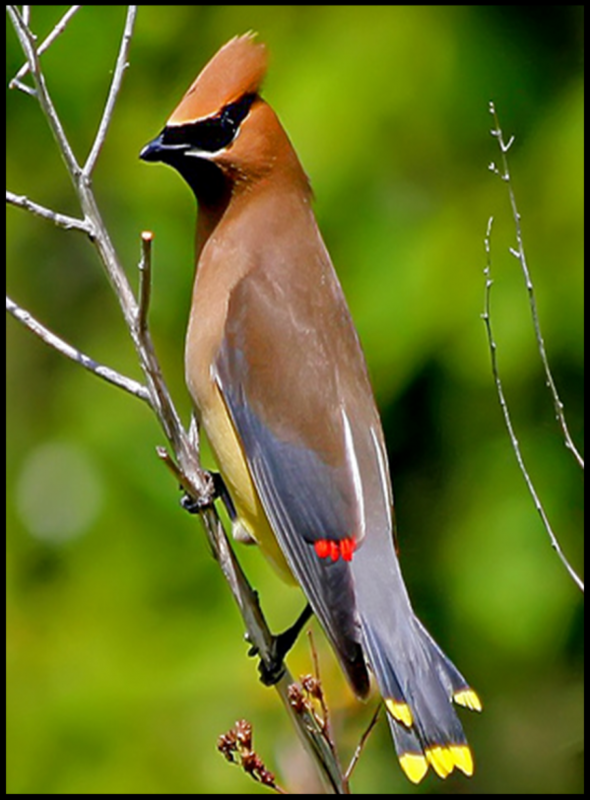 Like many birds waxwings store food in their crop where it can be broken up to start digestion at a later date – having no teeth, birds can’t chew or cut up food like mammals. But a waxwing’s crop is something to behold – literally, as this video shows. Returning to mistle thrushes, their relationship with mistletoe really is close up and personal as mistletoe seeds are also spread through the thrush’s droppings. But, as the festive sprig hovers inches above you, try not to think about that during your passionate Christmas kiss!